Lush forested hills, single-story homes in mint green and canary yellow and the topaz ocean beckoning on the horizon: Antigua’s landscape bursts with tropical fl air as we drive south, past St. Johns, the largest city and its capital. We are not going to the city, but into the country in search of both adventure and tranquility. 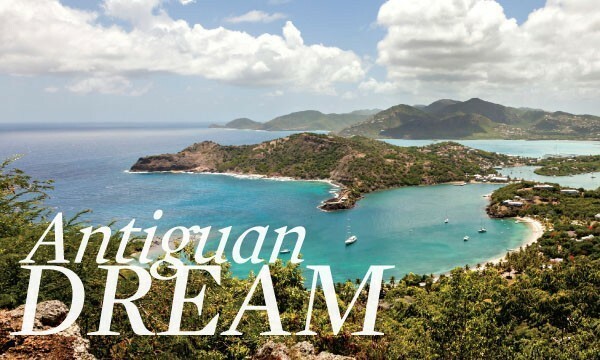 Antigua and Barbuda (An-teega and Bar-boo-da), the 108- and 62-square-mile islands that comprise the two-island nation, o er the kind of legendary getaway that have drawn Eric Clapton, Giorgio Armani, Oprah and Silvio Berlusconi to purchase homes here. But whether for a second home or just a weekend away, Antigua offers a tropical, revitalizing backdrop of greenery, oceans and serenity. As we drove through small towns—Jennings, Bolands, Urlings—my driver, Antigua native Maurice, told me how much he loves the island, would never want to leave. Why would he? As one of 16 children, a not-uncommon family size, he said the island has everything he ever wanted. “When you sleep, eat and live with siblings in close quarters in those early years, it bonds you for life,” he said. Asked what is special about the island, he thought for a moment and finally answered: “The people.” With that, he waved out the window at a fellow walking roadside, who smiled and waved back. Situated on a small peninsula at the south side of the island, 72-room Curtain Blu appeared in the distance, flanked by Atlantic waves on one side while calmer Caribbean waves drifted gently into the other. 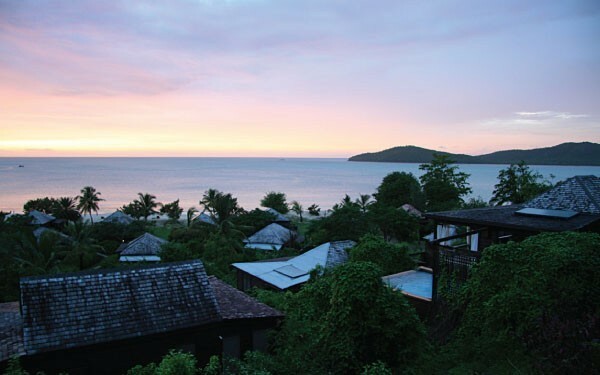 Iron gates gave way to the 20-acre property and its idyllic main beach. The Caribbean side, where pristine white sand is speckled with palm tree-shaded lounge chairs, also keeps paddleboards, sailboats, scuba diving and snorkeling equipment at the ready. As I arrived in the suite, which featured a king-size bed, Jacuzzi and a balcony overlooking the ocean, Atlantic waves crashed outside the room creating hypnotic white noise. Palm trees swayed and there was even a hammock outside—the perfect view. I put on my swimsuit and fl ip-fl ops and walked to the pool, surrounded by tropical foliage, comfy lounge chairs and a cabana. The cool water offered a crisp refresh from the 80-degree heat. Floating on my back with the sunshine on my face, I knew I had arrived in Antigua. Founded by Howard Hulford in 1957, the property is a world unto itself—a tranquil respite and balm for the senses. While Howard passed away in 2009, his wife Chelle Hulford continues welcoming guests personally in a warm, inclusive way central to the Caribbean lifestyle. 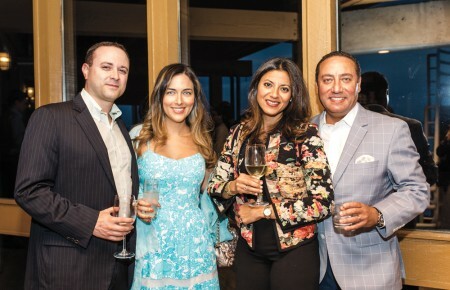 She knows almost everyone by name, and hosts guests at a weekly cocktail party in her home at the top of the blu . “The experience of being here is what makes us unique. For many of our regulars, coming back is like coming home. Certain guests have been coming for decades; they are like family to us,” she told me over dinner, just as a well-dressed couple came over to hug and greet her. The open-air Tamarind Tree restaurant dishes up breakfasts of home-baked cakes, breads and omelets as well as romantic, candlelit dinners—opt for the fi let of Caribbean grouper served on a tropical-fruit-and tomato relish with crispy papaya chips. Beachside bar and restaurant The Sea Grape offers breezy buffet lunches and unique banquet-style dinners like wahoo fillet and passion fruit and raspberry panna cotta. The all-inclusive arrangement makes ordering easy: Get whatever you want in whatever quantity you desire. The British established the first permanent settlement in Antigua in 1632, and the island is still infused with English tradition. 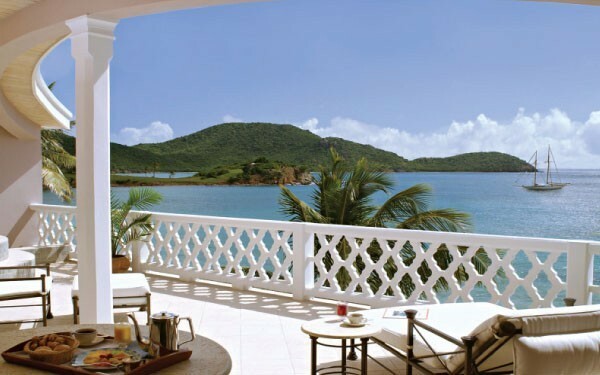 Here at Curtain Bluff, high tea at 4pm offered up tea, tiny egg-salad sandwiches, chocolate pastries, coffee and incredibly moist and light coconut bread—a perfect meeting of European and Caribbean flavors. Antigua has 365 beaches, one for every day of the year, according to its tourism authority. All of the beaches are public, but my favorites (so far) are Pigeon Point, Jolly Beach and Half Moon Bay which offered dreamy, quiet seascapes. It rained the morning of our zip line tour with Antigua Rainforest Adventures, where a scruffy white resident cat allowed our group—myself, a British couple with tattooed teenage daughters and their friend Sandra—to pet him. We saddled into our gear and helmets and walked into the rainforest to start our zip line adventure anyway. Sandra and the teens zipped across our first track fearlessly. I followed, my toes grazing the treetops, gripping my harness, an exhilarating yet unnerving experience fl ying over the jungle. As the course advanced, heights increased; I found myself zipping from tree house to tree house first as the others lagged. At least 50 feet from the ground, it felt like flying—zipping swiftly over the rainforest is at once terrifying and invigorating. Near the end of the course, we came to a “leap of faith” vertical descent, which required grasping a rope and walking off the edge of a wall. I stepped o and there was a terrifying drop before I was slowly lowered. I noticed that fearless Sandra went last and was crying to the rangers. To all the participants’ delight she finally did step off, and we cheered her enthusiastically. Christopher Columbus named the island during his second Caribbean visit in 1493 after the Santa Maria de la Antigua in Seville, a saint. Like other Caribbean islands, Antigua was transformed into a sugar-producing capital and has a dark past involving the import of slaves from Africa, whose descendants comprise the population today. Over 100 sugar mills still dot the island along hills and roadsides, serving as a reminder of this history. 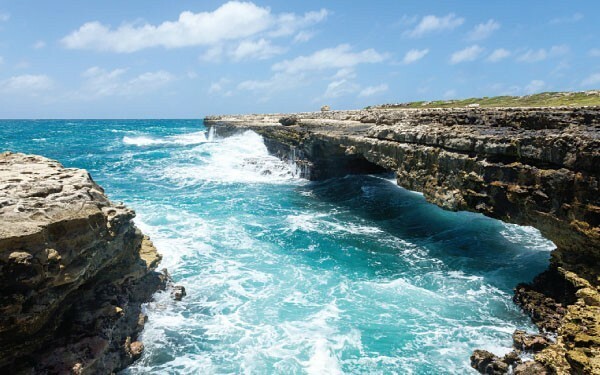 Beyond the beaches, Devil’s Bridge—a natural arch carved by the waves—is a dramatic experience. Numerous slaves died here, I learned, in ill-fated attempts to swim back to Africa. The haunting rock formation is nonetheless physically beautiful and we spent a contemplative hour admiring the view before heading to nearby Nelson’s Dockyard—the world’s only Georgian-era dockyard still in operation. The facility houses a museum and other historic buildings that once served as home to the British Navy. Driving to our destination, we stopped at resident Elaine Duberry Francis’ roadside stand on Fig Tree Drive, where she grows black pineapples and makes jam. Black pineapple is the island’s symbol, smaller than a typical pineapple and dark green when ready to eat, it was originally brought to Antigua by the Arawak Indians from South America. Francis’ black pineapple jam is the freshest and sweetest I’ve ever tasted. The long gravel road delivered us to the open-air lobby of Hermitage Bay, a secluded, 27-suite retreat on Antigua’s west coast which offers the privacy of individual cabins. My attendant placed my luggage in the back of a golf cart and we drove up the hill to my suite. Upon entry it felt more like a private villa than anything I’d define as a “cabin.” I had my own plunge pool overlooking the bay and mountains and the room was enclosed by slatted, heavy wooden doors, that offered a rustic, luxurious look and feel. The bathroom contained a large bathtub and a back door that led to an outdoor shower facing the ocean. The sunset blasted pinks and purples across the sky and water, a view included in the rack rate. Antigua’s warmth—hovering around 80 degrees year-round—along with its perfect white-sand beaches and crystal waters, lush forests and friendly, inclusive culture—make it the ideal winter getaway. It is soothing, calming and energizing all at once. 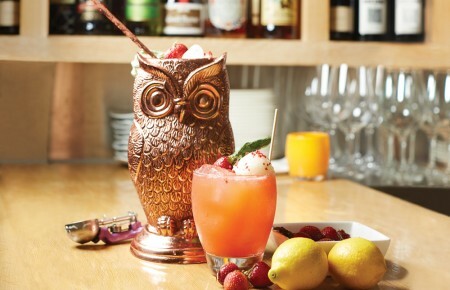 It is hard to believe this magical experience is less than five hours from JFK. Arriving back in New York, the cold was a disturbing shock. I looked down and realized I was still wearing my beach sandals, my sandy toes peeking out to defy the winter air. Cream butter and sugar until light and fluffy. Add eggs slowly to the mixture; scrape down the sides of the bowl. Add vanilla. Fold in flour and baking powder. 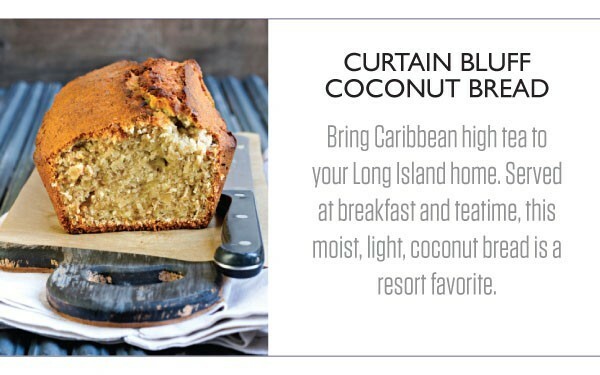 Fold in sour cream, then toasted coconut. Pour batter into prepared loaf pan. Bake in 300-degree oven for 25-30 minutes or until done. Six things you can’t miss on-island, and how to find them.